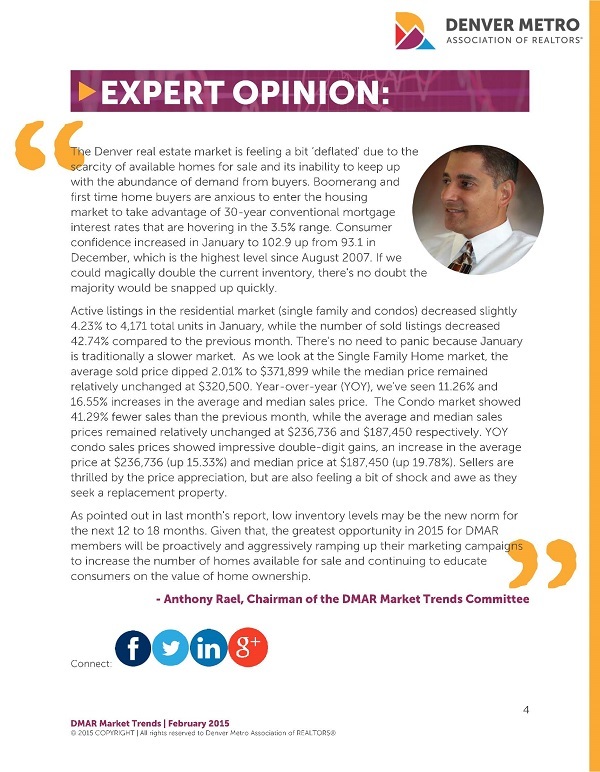 "The Denver real estate market is feeling a bit ‘deflated' due to the scarcity of available homes for sale and its inability to keep up with the abundance of demand from buyers. Boomerang and first time home buyers are anxious to enter the housing market to take advantage of 30-year conventional mortgage interest rates that are hovering in the 3.5% range. Consumer confidence increased in January to 102.9 up from 93.1 in December, which is the highest level since August 2007. If we could magically double the current inventory, there's no doubt the majority would be snapped up quickly. 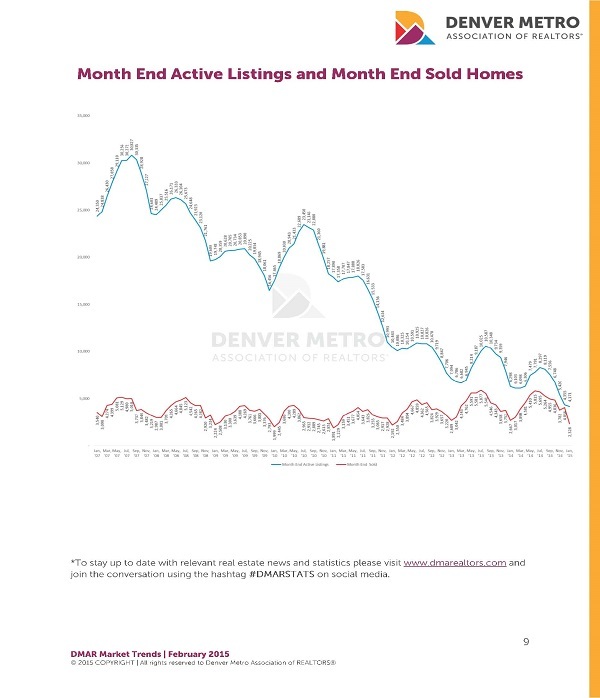 Active listings in the residential market (single family and condos) decreased slightly 4.23% to 4,171 total units in January, while the number of sold listings decreased 42.74% compared to the previous month. 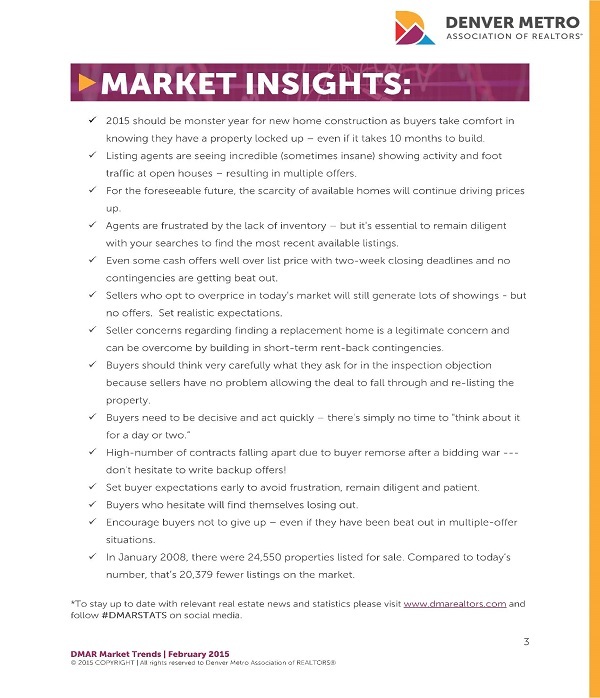 There's no need to panic because January is traditionally a slower market. As we look at the Single Family Home market, the average sold price dipped 2.01% to $371,899 while the median price remained relatively unchanged at $320,500. Year-over-year (YOY), we've seen 11.26% and 16.55% increases in the average and median sales price. 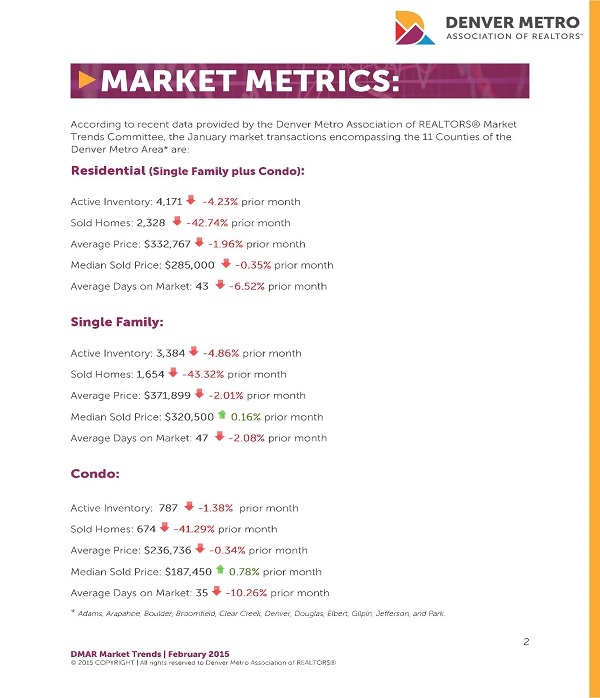 The Condo market showed 41.29% fewer sales than the previous month, while the average and median sales prices remained relatively unchanged at $236,736 and $187,450 respectively. YOY condo sales prices showed impressive double-digit gains, an increase in the average price at $236,736 (up 15.33%) and median price at $187,450 (up 19.78%). Sellers are thrilled by the price appreciation, but are also feeling a bit of shock and awe as they seek a replacement property.